What can I say, this week was a very long one. This week has seen our online activity drop a little due to Internet problems and that were ongoing throughout the week. This week has seen me learn more about some of the features that YouTube has to offer. One of these features is the Subscribe Watermark in the bottom right-hand corner of our videos. You might be asking why is so imperative that we SUBSCRIBE to our favourite YouTube Channels and not just mine? YouTube just recently change their criteria to the YouTube Partner parogram. You might ask what does that have to do with me? to make a little money from your channel. You won't lose money that you have earned. You will be paid what is owed to you. until you meet the new criteria. How will this affect mine and other channels? This may stop some creators from making videos and stop bringing you great content that you have come to love. I am going to focus on getting to 1000 subscribers. So please consider helping me achieve this goal, by Subscribing to my channel. I Thank you in advance. Now that we have got that out of the way, what else happened? This week we had lots of troubles getting up the content due to our internet where we live dropping in and out. I was not the only one having these issues. It would seem that is was widespread throughout the community. We got there in the end with a new playlist added called Show'n'Tell Mondays. You might be asking Show'n'Tell Monday what the heck is that? This is something that we do each Monday in our Facebook Group, and now we want to get to know our subscribers on YouTube a little better. So how does it work you might ask? and then we leave a comment below the video I put up. We have had a lot of fun with this, and some of the comments are very funny. It is a great way to connect with each other as you can reply to each other's comments and show some encouragement toward each other. This week topic is very imaginative so why not check it out Click HERE for the playlist, There are a few from last year too that you might be interested in leaving a comment for and these will give you a general idea on how to participate. So then it was onto Part 2 of our scrap rope series, well that was a mission. Video Done? Yes, Video Edited? Yes, Vidoe Uploaded? Yeah not so much!!! It took three days of trying, the internet was dropping in and out every half an hour or so. So I would have to start all over again. But by Sunday we got there, and it was uploaded, and you check it out just Click HERE. I am hoping for a better online week this coming week as it seems to have settled down. I love that we are busy, but still taking the time, and showing each other encouragement and support for our quilting and crafting adventures. 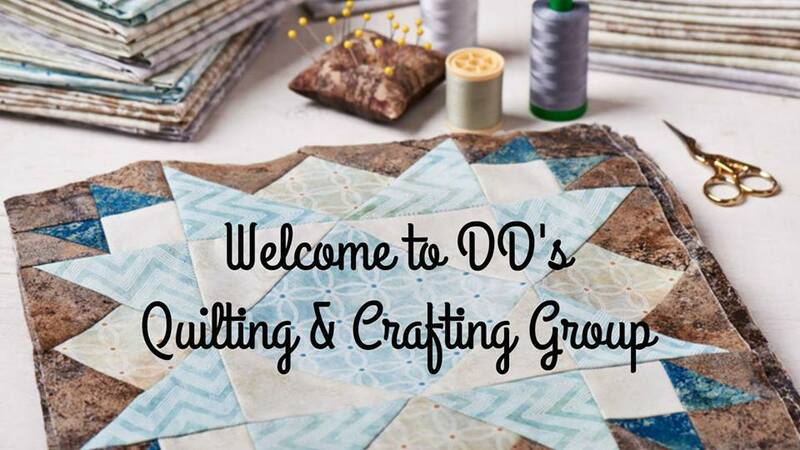 We have even seen some Newbies joining the patchwork ranks with, a few making their first ever Quilt blocks, from our Block of the Month Series. If you have missed it, you can check it out HERE. For those ladies that have joined in the fun of this BOM. Ladies, you should be proud. You have done a fantastic job on these blocks, just check out their talents, these are only 2 of many patchwork blocks that have been made. We also have had our Facebook Live Streams all uploaded to YouTube, and in case you missed them, you can still catch them on the Replay on our YouTube Channel. they are all marked by date, so they are easy to find, while you are there why not check out some of our past Live Streaming Videos. Quilting has been moving forward, at the moment there is a quilt that is in the machine and getting quilted. 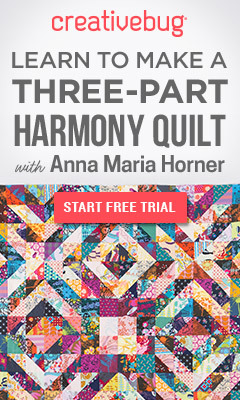 This one is a custom quilt, and it takes a little longer than my usual quilting antics. The kids are starting to get cabin fever, being cooped up in the house and not being able to go off and do their thing. This week also has seen the 2yr old step it up a level. Yeah not so much for this Mee-ma. I am standing firm, as this is not acceptable behaviour for us. We began with a 2.5hr meltdown, it didn't matter what we did or how we tried to console her, she just kept going. So how did I handle it? I sent everyone out of the house, and I just let her go, making sure she didn't hurt herself. She was throwing a good one. She was throwing items around the house and touching everything she knows she is now allowed to move or touch. Eventually, she wore herself out and fell asleep. When she woke she was in a better mood, and the tantrums have been getting less and less as the days have progressed. I have had her solely in my care this, no going off with poppy and her aunties, just me. She is starting to see that it is not the right thing to do, so they are getting shorter and less often. I just have to hold strong and not let it get to me...and I can tell you this girl has a set of lungs on her. Ahh the life of 2yr old, sometimes it can just get all too much for one tiny human. Well, that is a wrap for this week. I am glad that the trying times are behind me and we can now move onto a new week.